The Wedding Shop is very similar to a group shop. You still need to provide your own criteria, and we stick to that information. Each competitor hotel is shopped for pricing on everything from meeting and sleeping room rental, food and beverage minimums, to any audio-visual needs that are expressed. 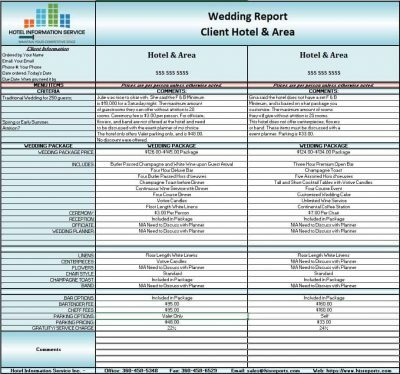 We check to see if any specific wedding package pricing is available. Deposit information, bar pricing, ceremony pricing, etc. are all shopped. We will also check to see if they have any recommendations for officiants. Many hotels have outside vendor preferences that they have worked with in the past. A comment section is provided so that we can detail our conversations with the sales agents. Our Wedding specialists team will process your request in the same manner that a group shop specialist would. All hotel sales departments are called, looking expressly for a wedding celebration. We give them your dates and criteria, and report back their responses. We will only push out a date for a wedding if you have expressly given us the go ahead. As weddings are usually booked six months to a year in advance, we ask that you take that in to consideration when choosing your dates. It will be trickier getting good availability for a closer date. 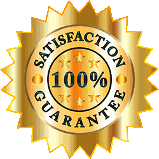 We get package pricing if available, and break down the charges when there aren’t any packages. Our agents have both email and voicemail contacts for return messages. We ask for written proposals so that they may be passed along to you. We get any special wedding themed menus as well. Most of the information is obtained during the initial call. Once the reports are completed, they are entered in to an excel spreadsheet for your convenience. Pricing will include up to five of your competitors. We will have the report back to you usually within an email within 7 to 10 business days.